The Man Who Invented Christmas © THUNDERBIRD ALL RIGHTS RESERVED. Published in 1843, Charles Dickens' A Christmas Carol has enchanted readers and audiences around the world for generations. The characters of Jacob Marley, Tiny Tim, Bob Cratchit and Ebenezer Scrooge are instantly familiar, their stories reminding us of what is important during the festive period. The novel is a staple of the curriculum, remaining a favourite of school assemblies and bedtime reading. The story has been adapted countless times for television, radio and theatre, with at least twenty film versions, dating back to 1901 and the earliest days of cinema, five of which are available through the Into Film catalogue. The latest version is The Man Who Invented Christmas, which tells the story of how Dickens overcame writer's block to produce one of the most enduring seasonal stories of all time, forever changing the way we celebrate the holiday. It's 1843, and Charles Dickens is somewhat down on his luck. 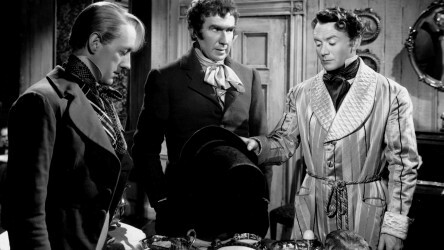 Having achieved international fame through the publication of novels like Nicholas Nickleby, The Pickwick Papers and Oliver Twist, his last three books had flopped, leading to financial problems and a difficult relationship with his publishers. Stuck for ideas, and with a family on the way, he begins to think a Christmas-centred story may be the way to please his army of frustrated fans. 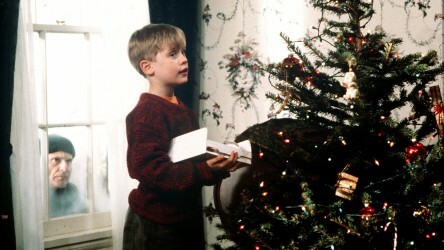 However, Christmas is only six weeks away and he hasn't written a word yet! His publishers are also sceptical that such a book will appeal to readers, leaving Charles to publish the book himself. Shutting himself away to write, Dickens finds himself drawing on memories from his own past to place Mr. Scrooge on a collision course with the ghosts of Christmas Past, Present, and Yet To Come. Written by Susan Coyne, the screenplay imagines a world in which Dickens interacts with his fictional characters as part of his creative process, carrying out long conversations with them to develop ideas for the story. Like much of the film, this is based on extensive historical research into what he was really like. 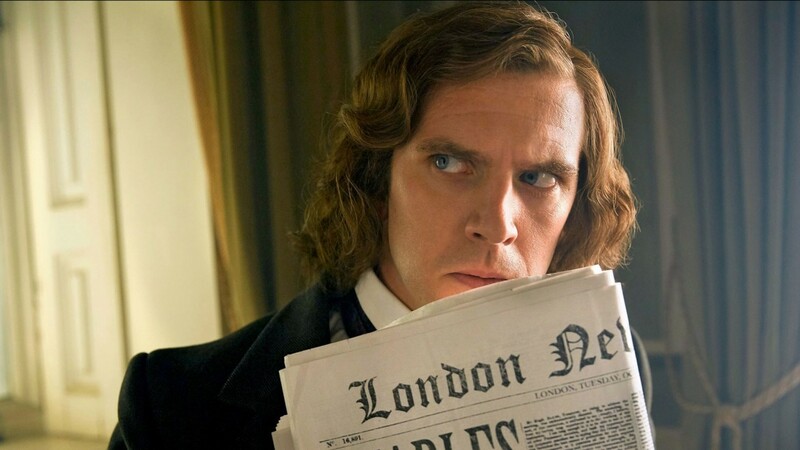 Although we tend to think of Dickens as a bearded, stuffy, older Victorian man, at the time of A Christmas Carol he was still young, and a very different character to the older gentleman played by Ralph Fiennes in biopic The Invisible Woman. This Dickens is handsome, charming, energetic, and extremely funny. However, as the film makes clear, he had a dark side. Much of Scrooge came from Dickens himself, reflecting his own mean and cruel streak. Another important influence was Dickens' father, John. Thought to be the inspiration for David Copperfield's Mr. Micawber, the relationship between the two was often complicated, with Charles adoring his dad, but also being forced to work as a young child in a shoe polish factory when the family had ran out of money. There was also a great deal of Oliver Twist in Dickens' own childhood. 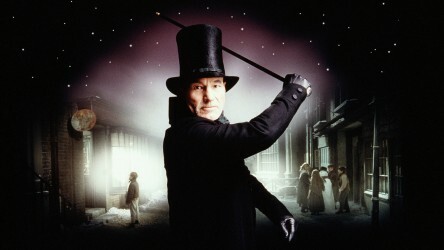 The film creates a triangle between Dickens, his father and Scrooge, in which Scrooge forces Dickens to come to terms with his father in order to finish A Christmas Carol. The story's themes of family, goodwill, benevolence and festivity continue to inspire us, and have become as much a part of the holiday season as trees, cards, carols and stockings. At the time, however, the holiday was celebrated in a very different way to what we know today, and it was the success of A Christmas Carol that inspired many of these customs. The first card with a Christmas theme and message is thought to have been sent in 1843 (the same year A Christmas Carol was published), and before long scenes from the novel were being used to illustrate them, as sending cards became more than something reserved for the wealthy. Christmas carols originate from the 13th century, but they had a renaissance in the 19th century, around the time Dickens was writing. The era produced ‘O Little Town of Bethlehem', ‘Deck the Halls' and ‘We Three Kings' alongside many others that continue to be sung to this day. German-born Prince Albert is thought to have had the first Christmas tree in England in 1840, just three years before A Christmas Carol was published and trees quickly became an established tradition. Like Shakespeare In Love, The Man Who Invented Christmas captures something of the personality behind some of the most classic texts in literature, helping to open them up to audiences and make them more relatable - after all, both Dickens and Shakespeare suffered from writer's block, just like anybody else. Opening up the creative process, The Man Who Invented Christmas also provides fascinating biographical details into the author's life, which in turn enrich our understanding of A Christmas Carol. With the themes of social inequality, forgiveness, and redemption as relevant to today's society as they were in Victorian times, the story will continue to be enjoyed by future audiences, whether as told by Muppets, in animated form, or in a more traditional setting. With The Man Who Invented Christmas, we can understand a little bit more about the man behind the classic tale; about the social and historical context his story and how it has had such an impact on how we celebrate the festive period to this day; and of course, the endless power of a good story, told well. 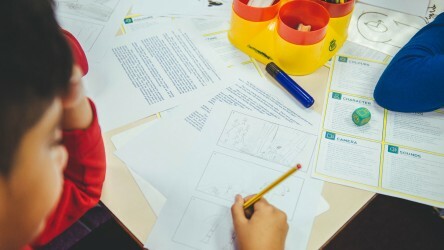 Use this resource to study the text using film as a stimulus.